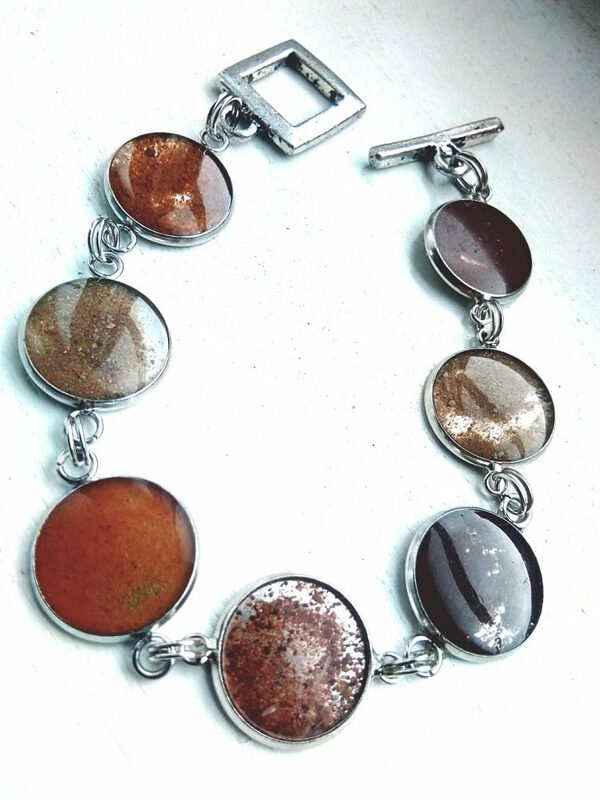 Made with the natural and colourful sands from the famous ancient city of Petra in Jordan; beautifully transformed into this modern resin based handcrafted jewellery. 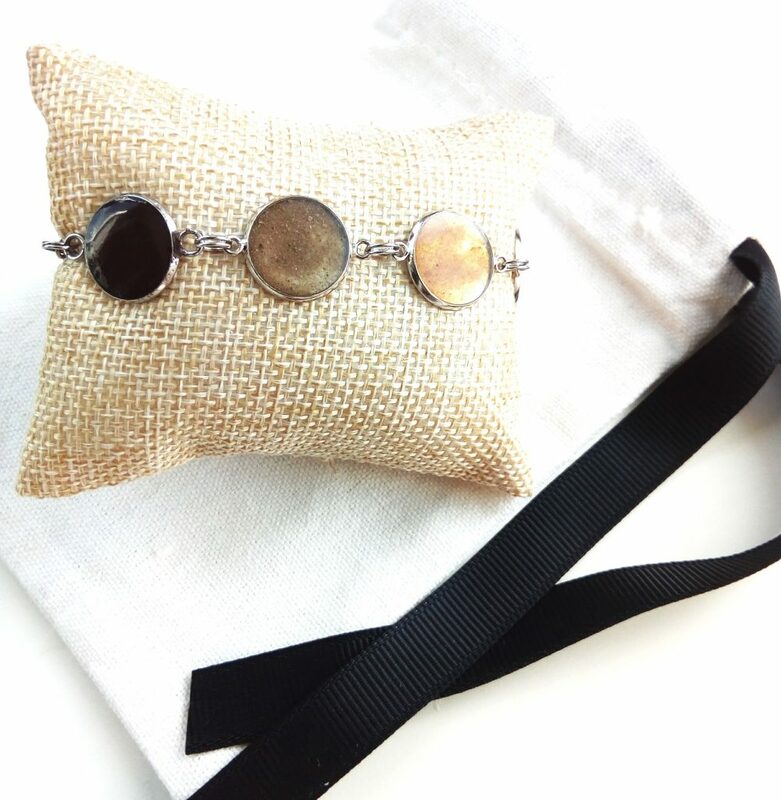 This is a special statement bracelet and truly an unique piece. It fits the modern boho and ’70 / ’80s style. The colours are very earthy; from burnt orange to more purply and all in between. The photograp is an example. None of the bracelets can be the same as every single piece is done by hand. The sand is collected by me personally and I’ve made all the items. As every piece is handmade slight imperfections are part of the unique character; this could be slight inclusions or tiny air bubbles. The lock is very easy to open and close and is made of metal.. If you like to buy a bracelet pls click here. You’ll be directed to my Etsy page which gives you the advantage that you are protected as a consumer.